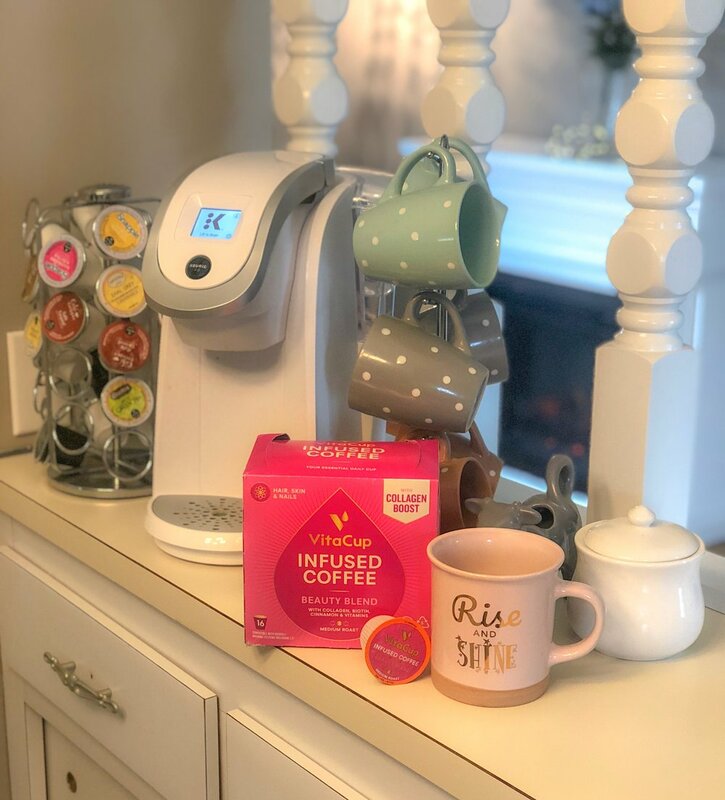 If you’re a coffee lover and beauty addict like me, then this VitaCup Infused Coffee Beauty Blend in K-Cups is for you! This coffee contains safe vitamins like biotin, collagen, and cinnamon to boost skin and hair health, as well as your overall health with antioxidents. It tastes like fabulous coffee, and you can get it on Amazon! Shop Vitacup Beauty Blend K-cups here!